The Batting Facility project will be completed in the early part of the fall 2014 semester. 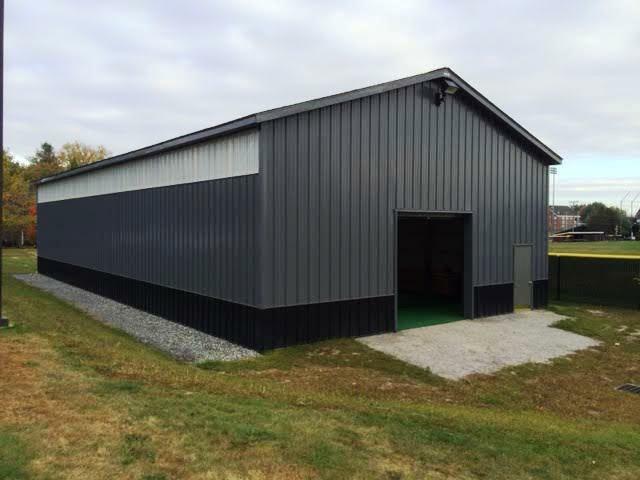 It will offer the Bates baseball and softball teams an excellent enclosed area to hone their hitting, bunting, and pitching skills during inclement weather and after dark. The building will be home to two 14’ by 70’ batting cages, and have an artificial turf floor.